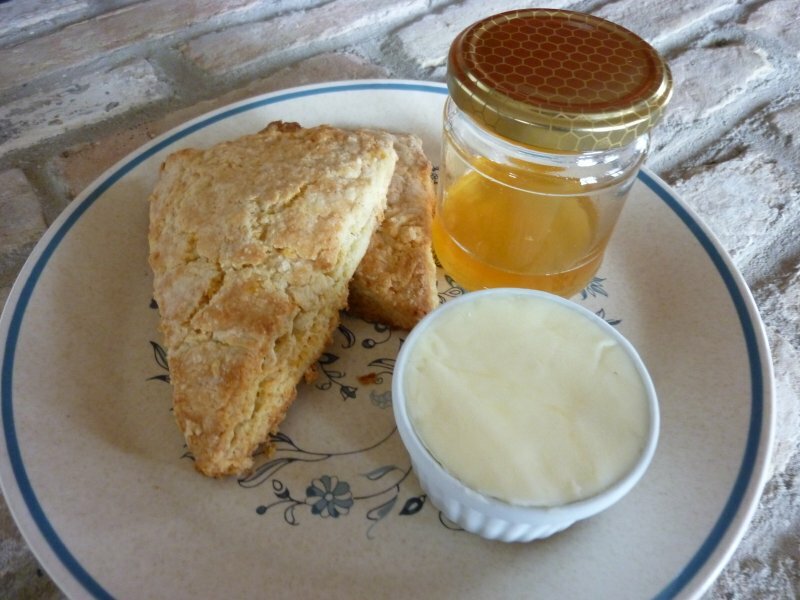 Hot, buttery scones. That’s what came to me this morning when, after a series of gorgeous, sunshine filled days, I looked out my kitchen window to see a gray, rainy Sunday. 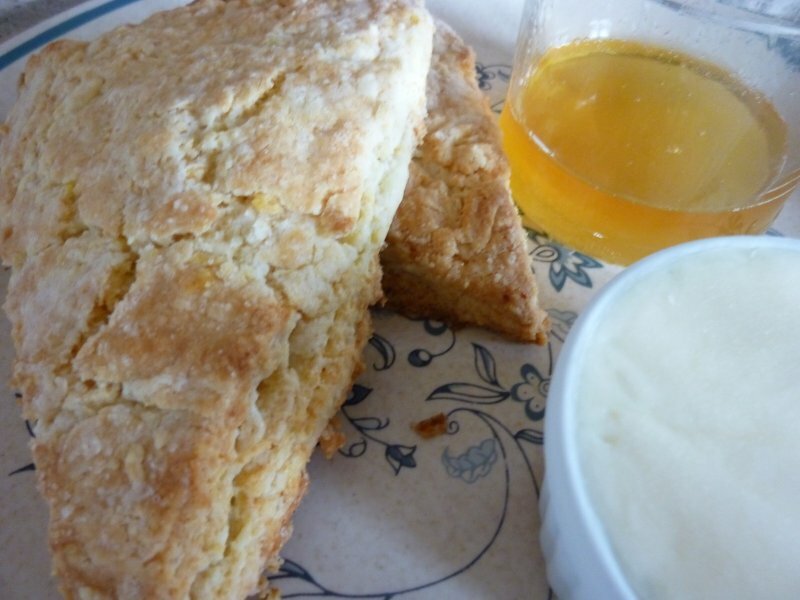 Scones have to be the biggest bang for your buck if you want a hot, melt in your mouth breakfast in just a half an hour. Made with simple, always on-hand ingredients, effortless and quick to make, but oh what a result! 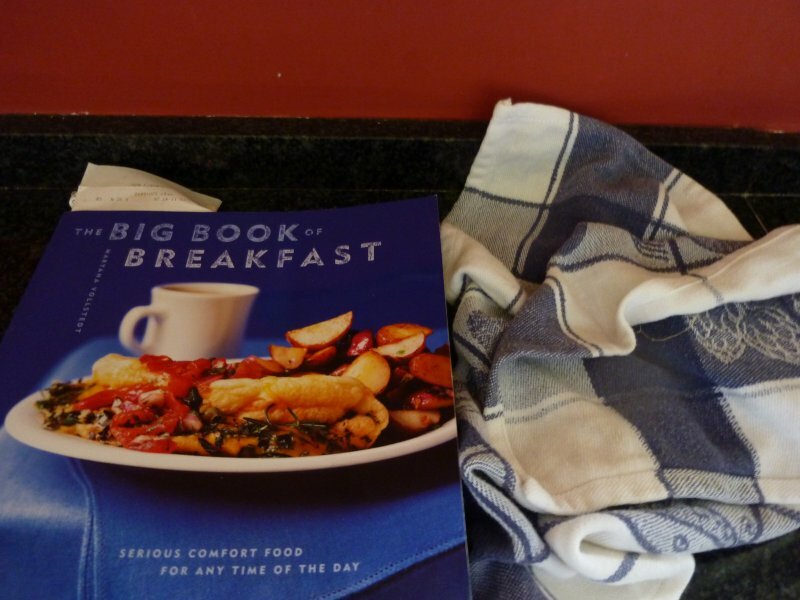 My favorite scone recipe is adapted from Maryana Vollstedt’s The Big Book of Breakfast, my bible of sorts at our bed & breakfast. I tried to use the scones and butter & honey to lure my husband into spending a lazy day with me reading in bed. He ate them happily, snuggled under the covers, and then went out into the bad weather. It worked for me though. I’m still here in bed reading and working. So let’s get started. First, preheat your oven to 425°F (200°C). Before we move on, a note on the cream. This is not a recipe to try to cut calories on: just go and use a nice, thick cream. And another thing: don’t throw out any cream you have in the fridge that is going sour. It’s great, perhaps even better, for this recipe. 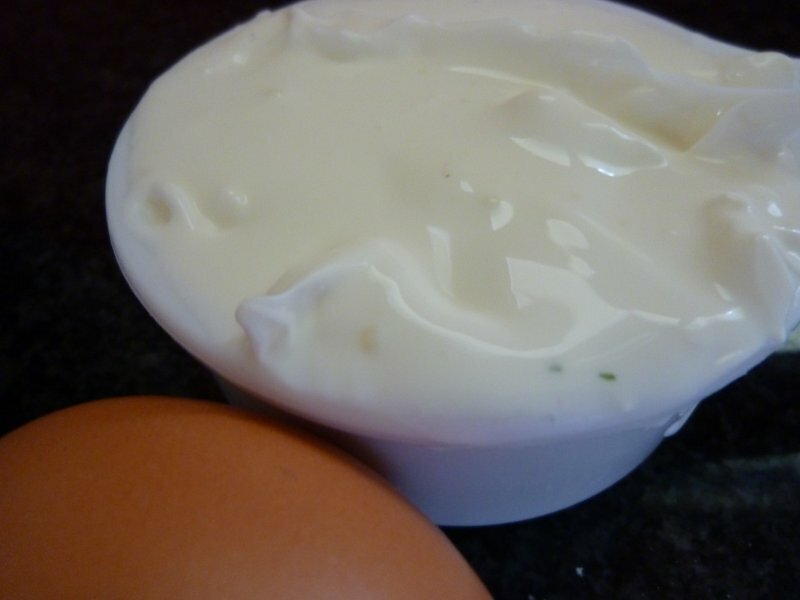 If you don’t have cream a perfect substitute is Greek yogurt, or any other plain yogurt. Or fresh, creamy ricotta. And again, yogurt and ricotta that seems to have gone off and no longer suitable for eating as is, is perfect for the scones. 1. 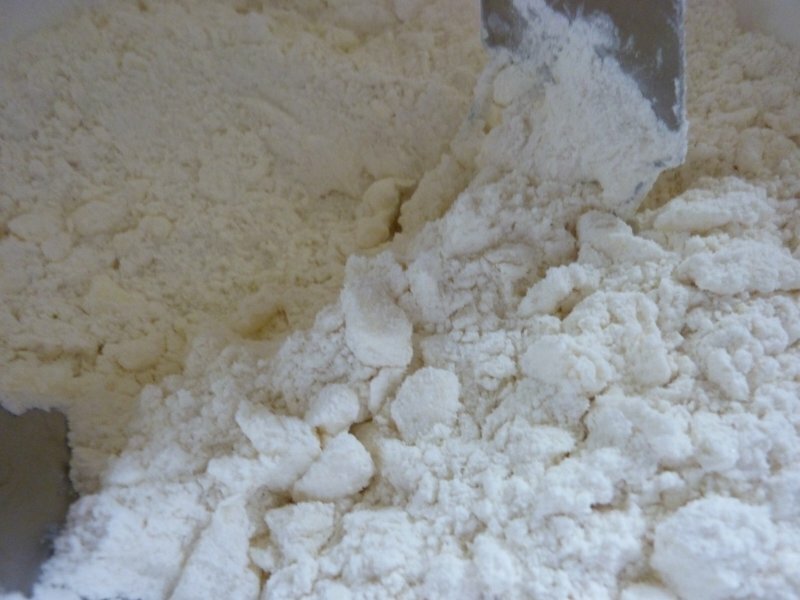 Put all your dry ingredients into a bowl and stir them with a fork. Note: If you use a scale, as I do, this is made infinitely easier. Place your bowl on the scale and set the tare weight, in other words, bring your scale back to zero. 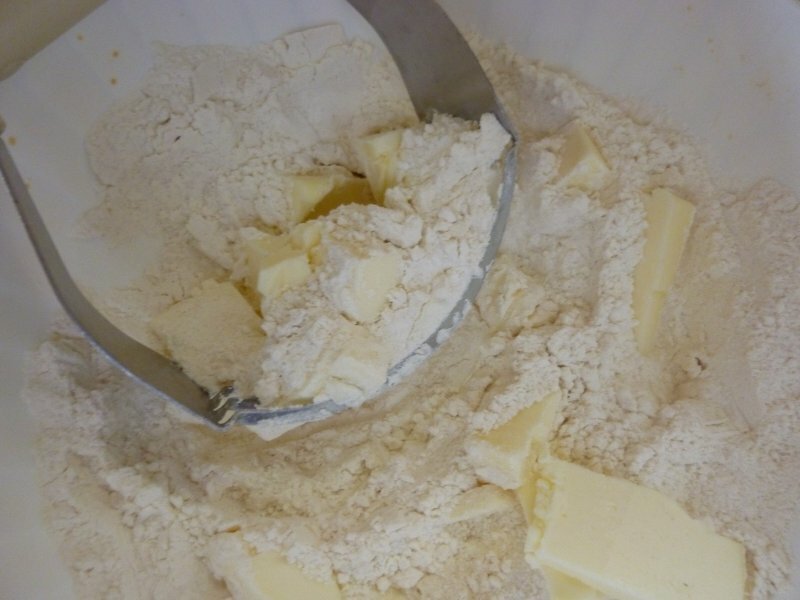 Do this after you add each dry ingredient (and the butter) into the bowl. What’s the point of all this? You only have one dirty bowl to clean, and weighing ingredients is much more accurate. 2. 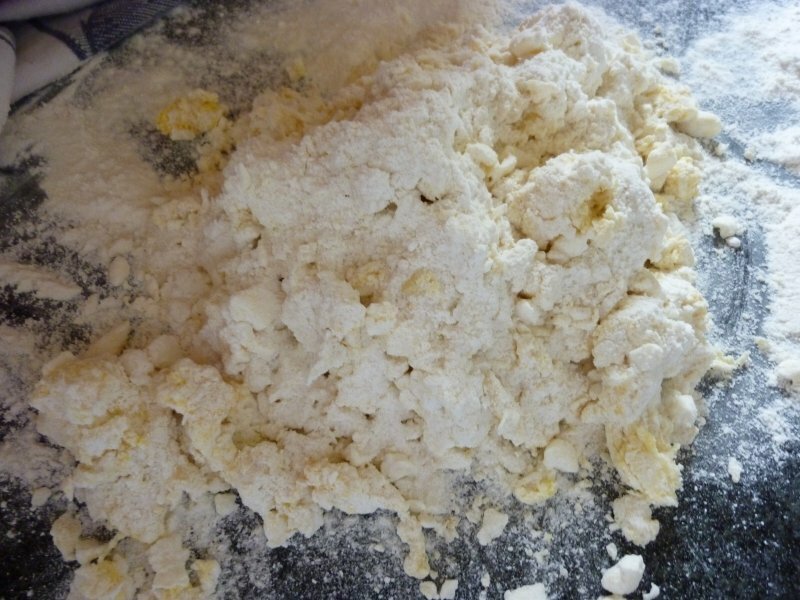 Cut the cold, cubed butter into the flour mixture. 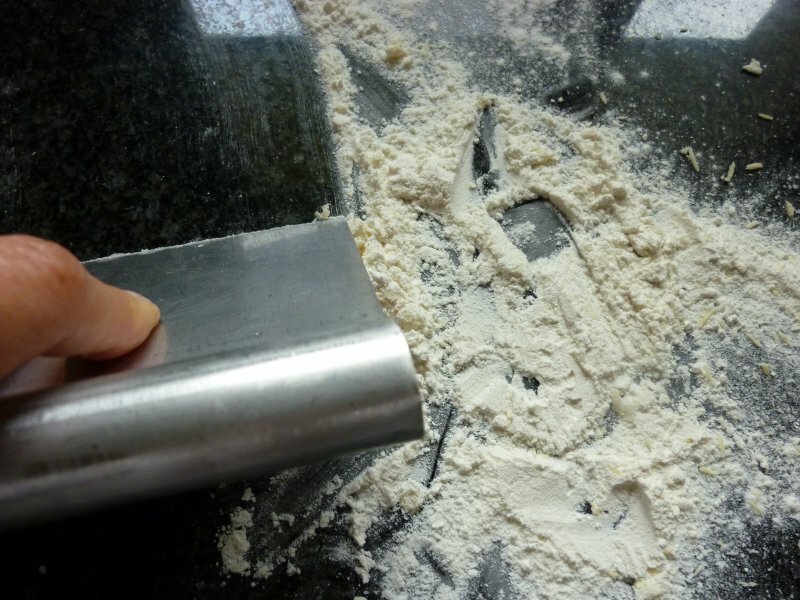 A simple tool, like this one, makes cutting the butter into the flour much simpler. In its absence use a dinner knife. 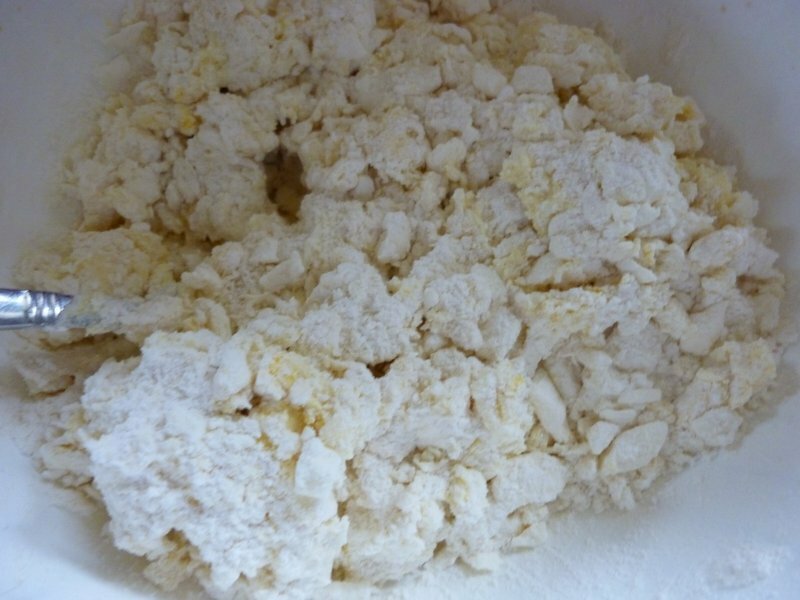 You want to cut in the butter until your mixture is crumbly, with pea-sized lumps. 3. 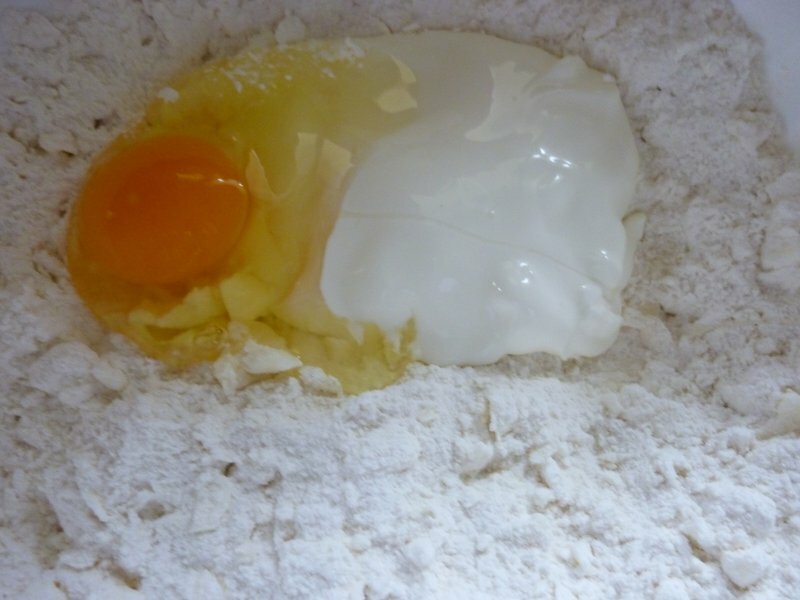 Add the egg and cream (or yogurt, ricotta) to the flour mixture. 5. 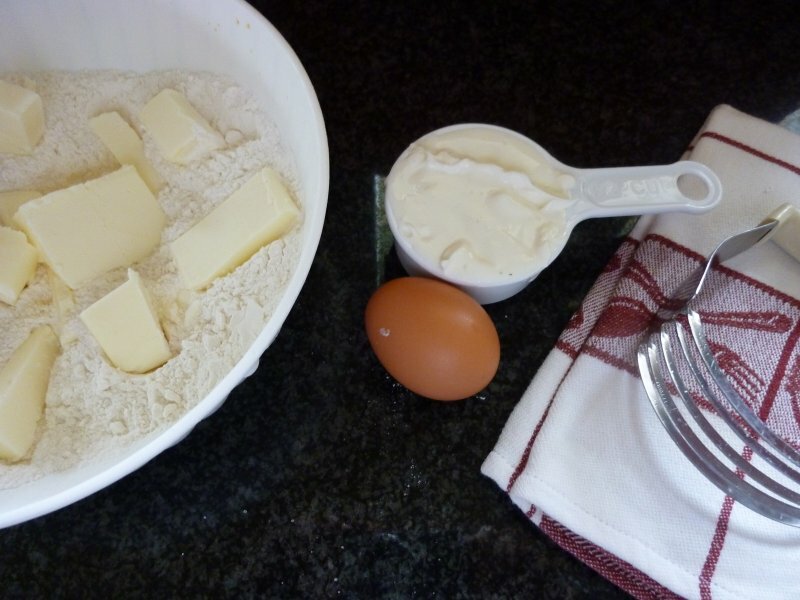 Stir the egg & cream into the dry ingredients just until they’re moist. No longer. 6. At this point dump the mixture onto a lightly floured surface. 7. Knead, ever so gently, just until you form a ball that (mostly) sticks together. Remember: you want to keep it crumbly. 8. 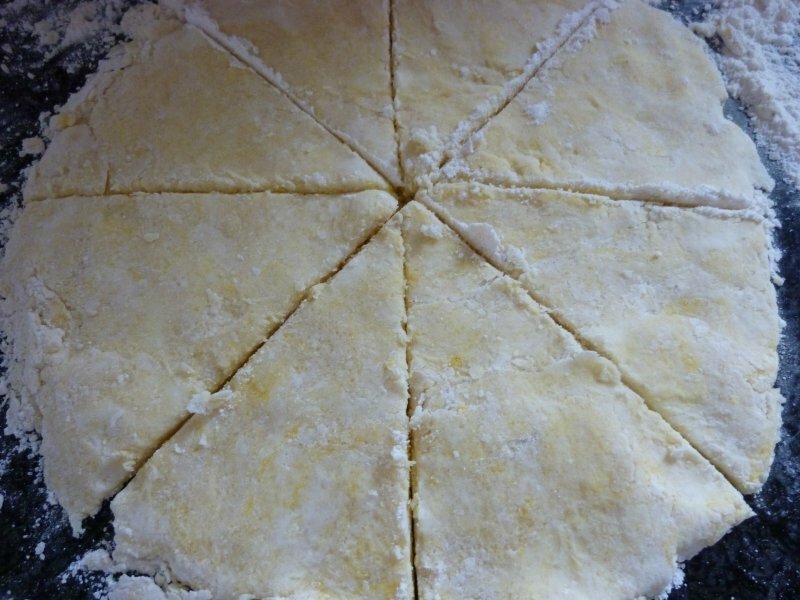 Then pat the dough down into a circle. If, as I do, you like scones thick don’t pat the dough any thinner than 1/4 inch high. 9. 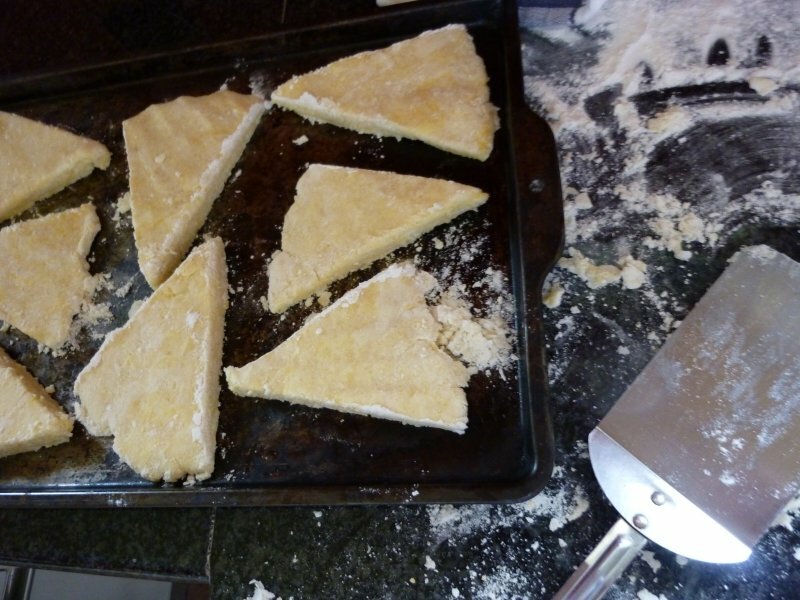 Use a floured knife to cut the dough into triangles. If you prefer different shapes feel free to use cookie cutters or a knife to cut any shape you want. 10. 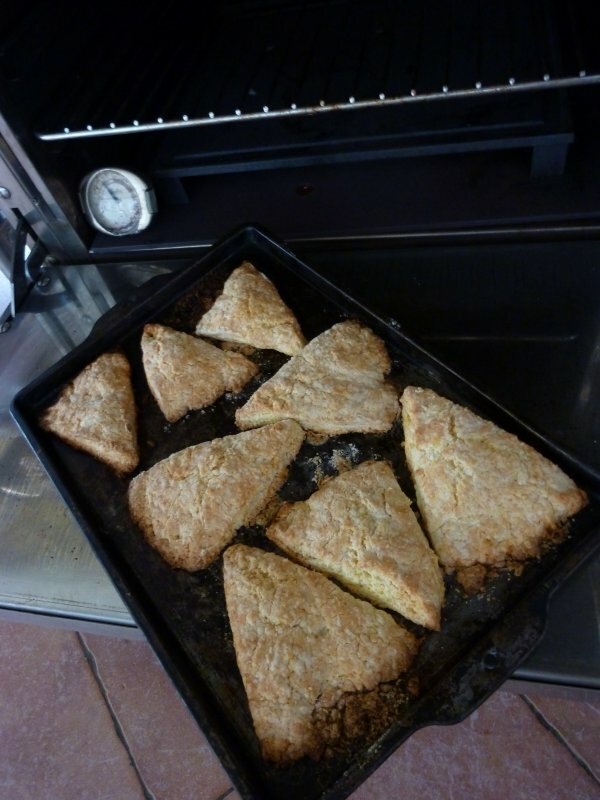 Gently place the scones on an ungreased cookie sheet, leaving a little space between them. They need a little room to rise in the oven. 11. Bake until golden brown, about 10 to 15 minutes. 12. Serve warm with butter, honey or jam. Scones are not just for breakfast: they’re wonderful with ham and cheese, salad or just about anything savory that strikes your fancy. Back to the weighing versus cup measurement approach. When you use a scale this is all you’re left with to clean up. No unnecessary pile of cups, teaspoons & tablespoons. I’m all for easy…. 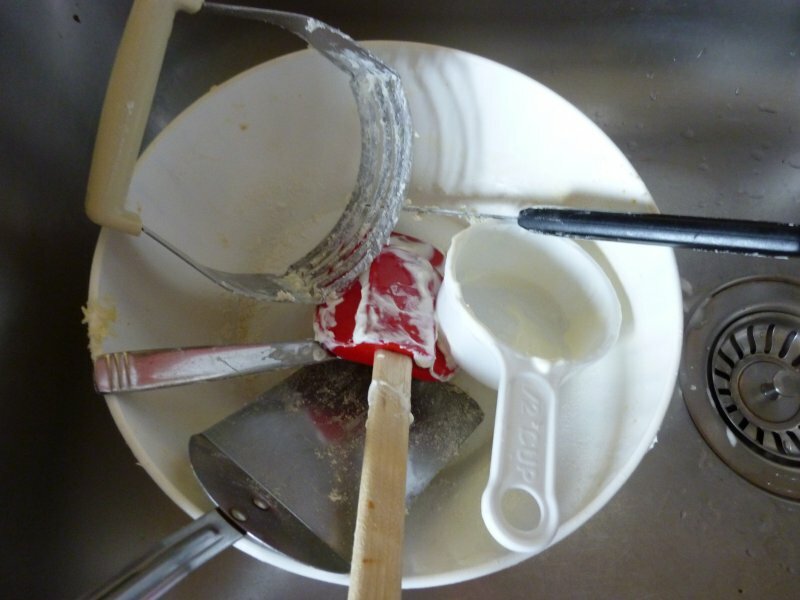 A few tips on cleaning up your work surface. Step one: use a scraper to scrape down the work surface. If you don’t have one, it’s a good investment. In the meantime, the side of a metal spatula will do just fine. 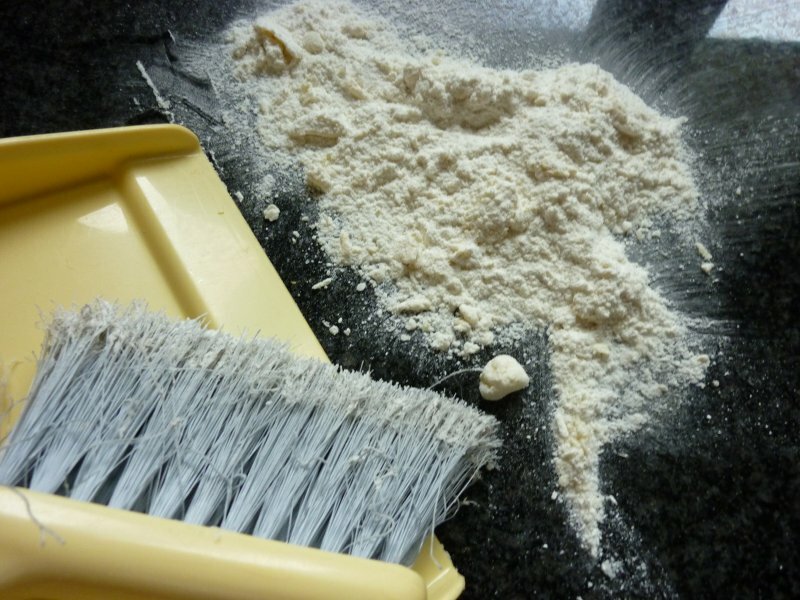 Step two: Use a whisk broom to gather up all the flour particles you’ve just scraped down. Ooooh, you might say, not my dirty whisk broom. True. 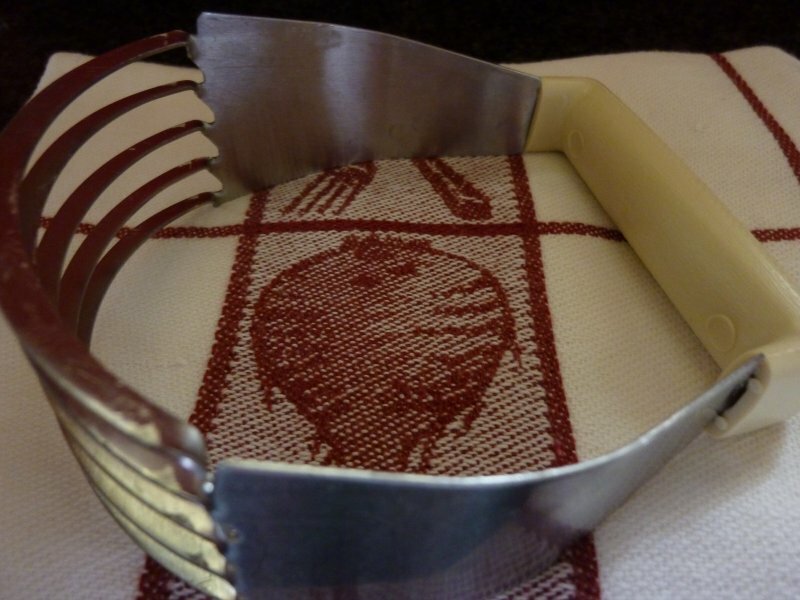 I have one that I only use on kitchen & dining surfaces to gather up flour, crumbs and the like. At this point your work surface is basically clean and a quick wipe over with a damp sponge will do the finishing touches. And the flour that inevitably ends up on the floor? You can get out your broom and sweep it up. 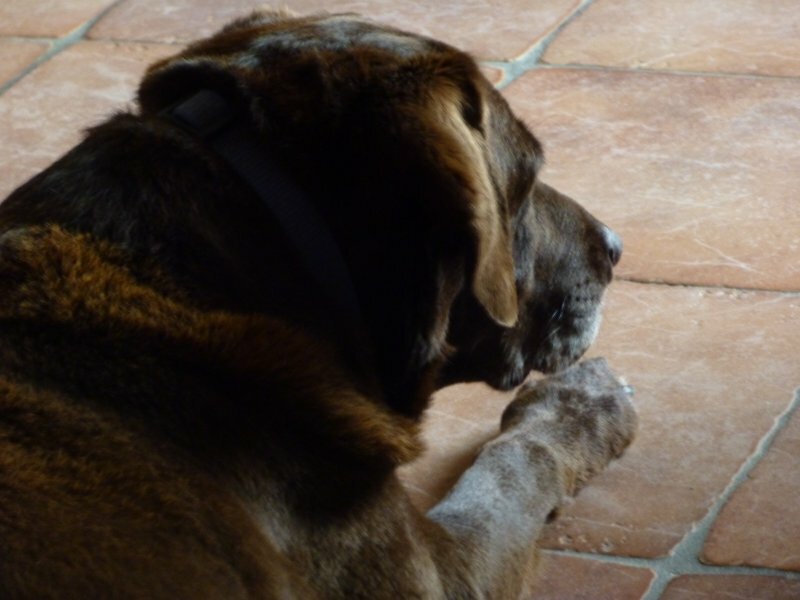 Or if, like I do, you have a lovable chocolate lab she’ll be ready and willing to lick up every last particle that touches the floor. oh lordy what I wouldn't give for a hot buttered scone! Do you have a gluten free recipe??? Lunch sometime before you leave Rome? So I can occasionally reel you in! Good to know!…. I'll try chocolate next!